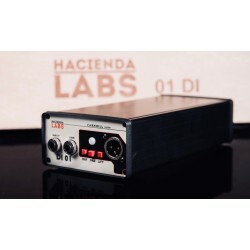 The Hacienda Labs audio modules are developed for and by Hacienda Studios (France) sound engineers: Stéphane PIOT and Jo VERNE. They created upscale professional recording studio equipment able to capture all the musicians sensitivity and also experimenting in sound creation and color. Primarily developed for private use, the result which was achieved was so satisfying that they were urged to commercialise them. 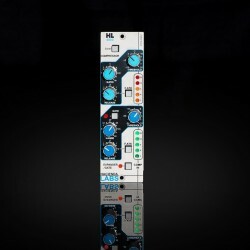 Rediscover this compressor / gate section based on the dynamics of the mythical SSL4000E and taste the "Color" button. 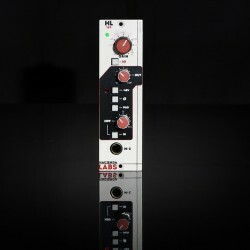 Based on the rigorous Switzerland brand vintage mic pre, HL169 was developed in close collaboration between the picky sound engineers and electronicians from Les Studios de l'Hacienda (France). This DI class A new generation is intended both for the studio and stage.It is equipped with a buffer and a Carnhill VT24499 transformer.The two positions of the switch buffer are to experiment in each new situation: the effect on the transients and the top of the spectrum of the buffer can be decisive, even for the sound made by the amp.